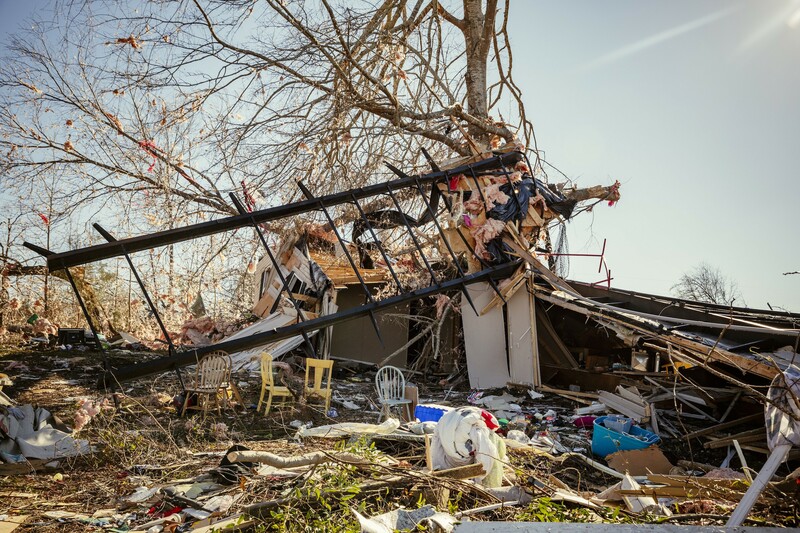 BEAUREGARD, Ala. — Seven members of one family were among those killed when a mile-wide tornado tore through rural communities in eastern Alabama, authorities said Tuesday as they released the names of the 23 known victims of the storm. The youngest victim was a 6-year-old boy, Armondo Hernandez, and the oldest was Jimmy Lee Jones, 89. Three other children — ages 8, 9 and 10 — were also killed. The seven family members, who were related by marriage, were living in separate houses on the same road, said Bill Harris, the Lee County coroner. Emergency officials said they were still searching for victims and survivors of the storm. But their list of missing people had been winnowed to seven or eight, they said, down from “dozens” Monday. At the White House on Tuesday, President Donald Trump announced he would visit Alabama on Friday. The tornado, which left a 70-mile path of destruction Sunday through Alabama and Georgia, was the deadliest to hit the United States in six years. “When you see the devastation, it’s just hard to fathom that something can be this powerful,” Brian Hastings, director of the Alabama Emergency Management Agency, said at a news conference at the high school in Beauregard. Among the victims were Henry Stenson, 65; his wife, Florel, 63; and their son, Eric, 38, who all died while sheltering in their double-wide mobile home, said Katrena Coleman, a niece of Henry Stenson. The Stensons lived off Lee Road 39, a two-lane road cutting through a wooded rural area where officials reported some of the most severe damage from the tornado. Coleman said her mother and other relatives went to search for the family Sunday after failing to reach them by phone. 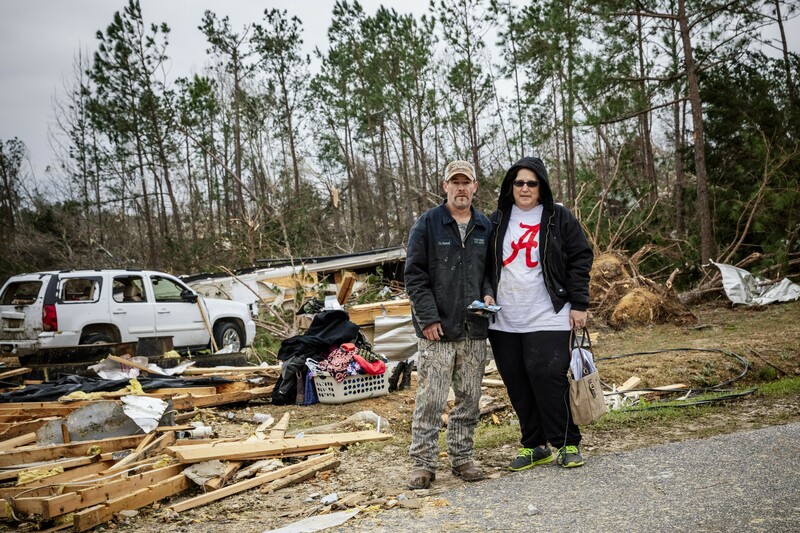 Kevin and Becky Boyd as they recovered items from the rubble of their mobile home, after they said it flipped over as a tornado swept through the area in the Beauregard community of Lee County, Ala., March 4, 2019. Search-and-rescue workers rushed on Monday to help communities that were pummeled by several tornadoes that killed at least 23 people, wrecked homes and uprooted trees in central Alabama. An official with the National Weather Service said Monday the damage on Lee Road 39 indicated the winds there had reached about 170 mph.